Há muitas maneiras de desfrutar os efeitos sutis dos aromas em casa. Primeiro, use apenas substâncias aromáticas que são completamente naturais, pois fragrâncias sintéticas não têm as ações benéficas dos óleos essenciais e podem causar dores de cabeça, palpitações entre outros sintomas.Use aromas ​​que têm associações com situações anteriormente agradáveis vividas por você. During this month I had the great pleasure of studying a little more about a subject that in recent times has gone through ‘my nose’ constantly. Aromatherapy. Better still was the great present to learn more about this subject by a person who knows deeply about it. I could write pages and pages about her and all her work, but it is going to be Sâmia herself that is going to tell us a little more about essential oils, emotions and aromatherapy. I wish that you could read this post in an environment awash in scents such as lavender, cypress, bergamot and sandalwood. In this way you could read the most wonderful scented post in my blog! “Scents can affect mood and evoke memories. If the smell of cookies, fireplace smoke or a favorite perfume scent of a very intimate person can drive us back in time, calling the long-forgotten events and feelings, then you have experienced the powerful association between smells, emotionsand memories. Long before modern scientists began to study the physiological processes underlying this association, humans were exploiting and utilizing the power of fragrances in their daily lives. Many ancient cultures, including India, China, Persia, left no records documenting the use of fragrances to the effect on mental states and emotions. The Egyptians, in particular, made ​​extensive use of incense aromatic oils in religious rituals. Many ancient peoples, like the Romans, became very skilled in using certain herbs to evoke specific mental states. 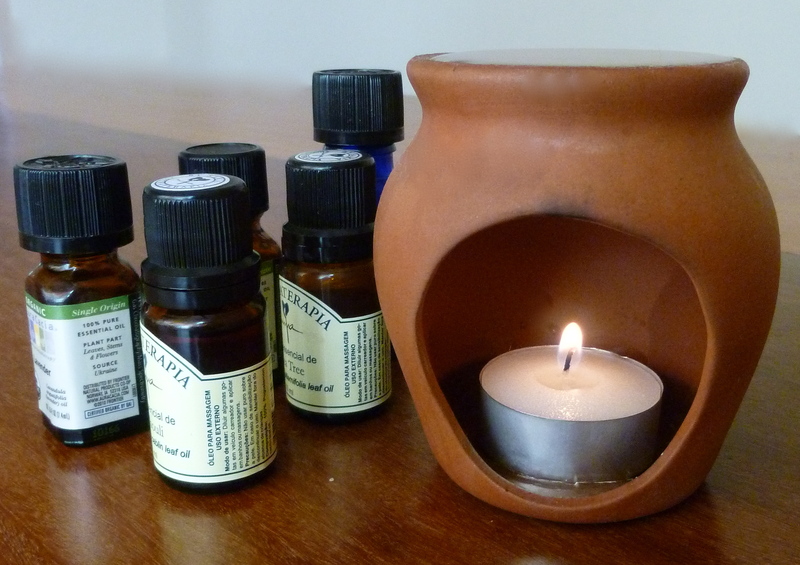 In aromatherapy have several reports highly selective effects of specific essential oils. For example, Cypress have been used to help dissipate the pain while Ylang Ylang and Juniper are claimed to help deal with the guilt. Today, we continue to measure the impact of smells on mood and other aspects of our mental states, such as surveillance, sexual drive and aggression. Any scent can acquire the ability to cause a memory of a specific event, and the feelings associated with that event, if the scent was present during the original experience of the person. This can have positive or negative consequences. One of my aromatherapy instructors, told us that because of the essential oil of lavender has been used as a disinfectant in hospital wards and morgues in England during World War II, where the aroma of this oil can cause very painful memories and feelings weighing between British people. This example illustrates very well that the individual experience of a person with an aroma should be considered before attempting to use it for beneficial purposes. However, taking into account individual experience, using essential oils can be very effective to get things done that form strong associations between memories and smells. There are many ways to enjoy the effects of subtle flavors at home. First, use only scents that are completely natural, not synthetic fragrances because they don’t have the beneficial actions of essential oils and can cause headaches, palpitations and other symptoms. Use scents that have pleasant associations with situations previously experienced by you. Essential oils offer perhaps the most convenient and efficient way to experience the beneficial effects of scents. Essential oils are highly concentrated, and are obtained by distillation or cold pressing extraction.Essential oil material may be used for scenting the air, applying the diluted in acarrier oil, or adding a few drops in a hot bath. Because essential oils are so concentrated, only a very small amount is needed, typically just 10 drops, depending on the method of use. The practice of using essential oils, herbs and other vegetable substances, is known as Aromatherapy. Mais um link simplesmente espetacular. Um projeto que está acontecendo mundo afora. Tanta inspiração! Quem sabe não inspira você !!!! Another Brilliant Link! Another project that is happening right now around the world! More inspiration! Maybe it will inspire you!